Whatever happened to Aljo Bendijo?  Bargain-hunters will be happy to know that a mid-summer back-to-school sale (50 percent discount on all items) is going on at Cumbia, a boutique located at the second level of Gateway Mall (in Cubao, Quezon City), owned by Madame Stella Marquez-Araneta. 1. I couldnt care a damn! 2. Whats your next class before this? 3. Can you repeat that for the second time around once more from the top? 4. Hello...My brother is out of town. Would you like to wait? 5. Dont touch me not. 6. Hello? For a while... please hang yourself! 7. Youre not a boy anymore. Youre a man anymore. 8. Come, lets join us.  If you want to watch the phenomenal The Da Vinci Code in luxurious comfort, do so at the Globe Platinum Cinema 10 at Gateway Mall which has a capacity of only about 50. The P200 admission ticket entitles you to a seat that can be reclined (okay to curl up in it like you do in your own sala) and a free bag of popcorn and softdrinks. Its movie-watching at its best! 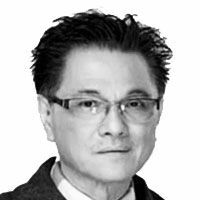 For a while (if you can call four years only a while), he seemed to be the fair-haired boy of ABS-CBN, plucked out of his position at ABS-CBN Davao and made co-anchor of Korina Sanchez and Henry Omaga-Diaz on TV Patrol, co-host of the early-morning show Magandang Umaga Bayan (MUB) and host of his own Saturday evening show called Sapul Ka Dyan! And then, at the flick of the remote control, he vanished from the ABS-CBN screen, televiewers wonder whatever happened to him. Yes, whatever happened to Aljo Bendijo who was nearing star status at the time of his disappearance? There were all sorts of speculations: Was he a casualty of a power struggle and "inside politics" at the ABS-CBN News and Public Affairs Department where one of the bosses reportedly told him, "Your fall will be faster than your rise")? Was he a victim of intrigues and envy? Was he a classic example of "too much, too soon"? Politely refusing to answer any of these questions, Aljo simply said, "Maybe I didnt meet their expectations. I was hosting in the morning and in the early evening, and then I was taping sometimes at dawn for my other show. I also had to do field-reporting work. I guess kaunting mali ko lang, napapansin kaagad." His being basically a "promdi" could have something to do with it, unwilling as he was to, you know, go with the flow and dance to the music. Even his habit of coming to the office through the back entrance and not the front door became a source of intrigue  you know, why is the guy so aloof, so evasive and so secretive; is he trying to hide something? Instead of taking a standing offer to resume old job at ABS-CBN Davao, Aljo opted to try a job very remote from journalism  he engaged in the buy-and-sell of clothes bought in Divisoria and sold at a mall in Imus, Cavite. "Did I miss TV work?" Aljo asked. "Of course, I did. I missed it so much that I refused to watch TV." Heavier by a few pounds, Aljo is now seen 5 to 8 a.m. on UNTV with Daniel Razon, Jay Sonza and lawyer Mel Mauricio, all formerly with GMA 7, doing the Hataw Balita newscast with Karen Padilla who also used to be with ABS-CBN. He has given up his buy-and-sell business (with his girlfriend as partner) after the mall was closed and is now managing a new band called Sidecrash composed of his fellow Davaoeños, the reason why Aljo contacted Funfare. Originally called 12 Months to Pay band, the quintet changed its name to Sidecrash after what could have been a fatal car accident last February on their way from Davao City to Guinares in Cagayan de Oro to meet a friend. The car they were riding in slipped and rammed into the roads metal railings. Sidecrash is composed of Bermin Gaya, 21, lead vocalist and rhythm guitars; Nico Vincent Lopez, 21, drummer; Ian Wendell Sison, 22, keyboardist; Byron Contemplo, 27, bass player; and Ronnie Binag, 22, lead guitarist. Aljo let me listen to the bands demo tape and I should say that Sidecrash is "very promising" and could very well follow in the footsteps of other bands from Davao that became successful in Manila, such as South Border and Freestyle. Youve heard of the Pussycat Dolls, havent you? Theyll have a date with you on July 28 at the Araneta Coliseum where they promise to host a sizzling dance party. The Pussycat Dolls are the voices behind the song We Went As Far As We Felt Like Going in the 2004 movie Sharks Tale; Sway in the 2004 Richard Gere/Jennifer Lopez starrer Shall We Dance? ; and If U Cant Dance (Slide) on Will Smiths 2005 Lost and Found album. More: The Pussycat Dolls were seen in Charlies Angels: Full Throttle (2003), Pinks Trouble video and last years Be Cool. The Pussycat Dolls were born in a tiny dance studio at the L.A. garage of Christina Applegate, with whom Pussycat Dolls member Robin Antin was rooming in the early 90s. Antin (who appeared in Coke and 7-Up commercials and did music-video choreography) invited a few girl friends who were also tour/music-video dancers to form a group. Before long, they were performing at Viper Room along the Las Vegas strip, moving to Roxy (a bigger venue) in 2002 after only two years as a group and then to Caesars Palace last year. "Inside every woman is a pussycat doll," said Robin Antin whos inviting everybody to the Big Dome party on July 28.